Miche Bag's Morgan Black Prima Shell goes with practically everything. 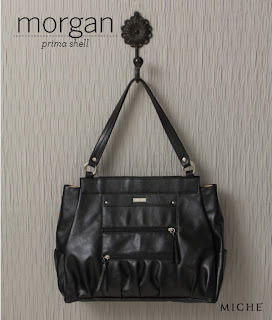 The Morgan for Prima Shells has a smooth and sleek design in semi-gloss ebony faux leather. It features modern pleating along the bottom, double zippered front pockets with decorative tassels and rivet details. What more could a girl want?